Christy and Jasen are brilliant photographers* with open hearts. I've known them for years, so when Jasen executed the. most. epic. proposal. EVER. (seriously, ask them for the story some time) I crossed my fingers and hoped they would invite us to document their surely-just-as-epic wedding day. 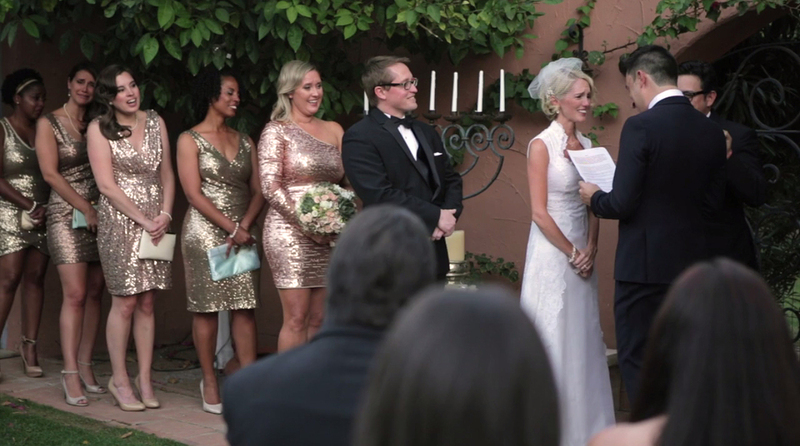 It was a joy to brave the hot Phoenix sun in order to take part in this intimate and moving wedding ceremony. I'm naming Jasen this week's #MCM because a) his heart-tugging vows had absolutely everyone crying happy tears, including him; b) look at what an awesome dad he is; and c) he just looks great in that blue suit. Don't you agree? ...oh, and d) those dance moves! 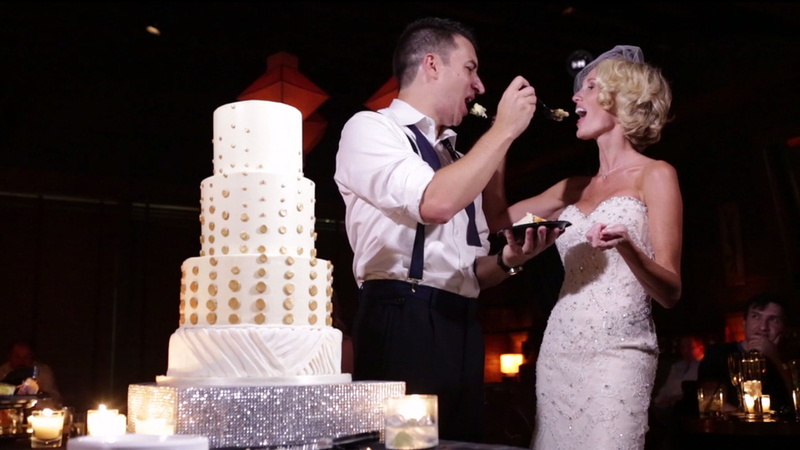 "I could go on and on for days as to why we knew having a videographer was a must at our wedding. But the main, most important reason was because we wanted our boys to have us and our love for each other to look back at and to have if something were to ever happen to us. I wanted them to remember our mannerisms and hear our voices. See where they get their awful dance moves from. In all of this I don't think I stopped and thought about how much it would mean to me. This is and will be one of the most cherished heirlooms I will ever own. This breaks me down every time I watch it. I had no idea it would bring me back to those exact moments, experiencing realtime emotions. I'm speechless and covered in thankful tears." Jasen and Christy, I know this chapter of your love story is a precious one, and it was such an honor to capture this day so that you and your boys can look back on these moments as they grow. You have been through so many adventures together, and there are so many more ahead! 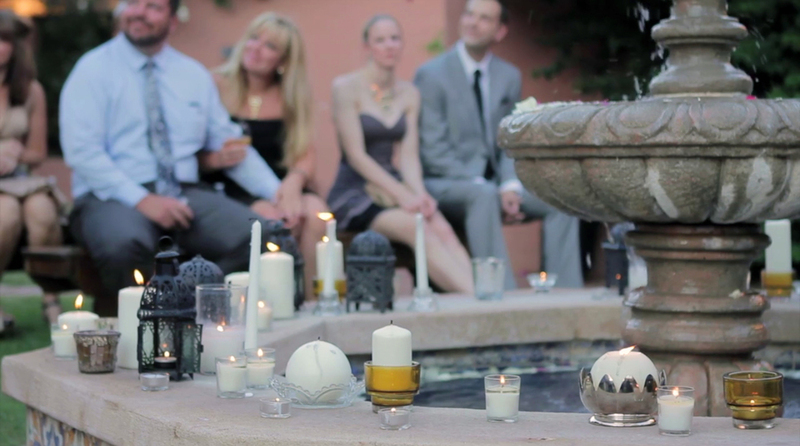 *Jasen and Christy are the founding creative force behind Moirae Creatives. 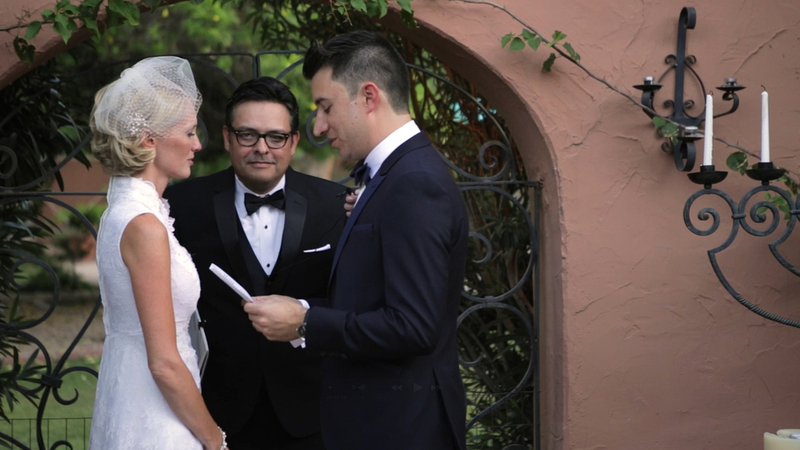 Jasen specializes in bold wedding photography, while Christy creates uniquely real and beautiful family portraits. You should check them out!